With ZürichCONCIERGE, Zürich Tourism offers the perfect range of services. 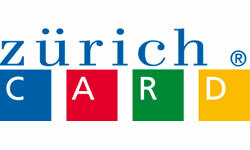 Zürich has been their core area of expertise for the past 125 years. They will pull out all the stops for your guests and ensure that they have an unforgettable time in this city on the River Limmat and in the surrounding Zürich region. To that end, you may choose whether they should plan the entire stay for your guests or just fulfil a particular wish. Boat trips on Zürichsee - www.zsg.ch - 17 ships including 2 steamers - very good value - various lengths and specialities - short round trip (kleiner Rundfahrt) sails every 30 minutes in summer or take 4 hour round trip to Rapperswil*(qv) - Swiss food - ‘Jazz’n’Dine’ - classic cruise - evening Traumschiff’ - Oldies-Schiff. Bahnhofstrasse - Zürich’s premier shopping thoroughfare - 1.2 km lined with linden trees and populated with trams which continue to run by popular demand in preference to a proposed metro - follows line of old city wall from Station to Lake increasing in social cachet as it progresses - grassy space in front of Globus was used for public executions and is now home to statue of eminent Swiss educator Pestalozzi and also to fountain given to city by Paris to initiate World Convention of Water Experts - 4 nymphs represent Simplicity Purity Sobriety and Clarity - there are over 1200 fountains in the city - 5 largest Swiss banks have headquarters on Paradeplatz - the ’Gnomes’’ gold is stashed beneath - take a gentle coffee break at Cafe Sprüngli nearby . Niederdorf (Dörfli) - total contrast to glamour of Bahnhofstrasse - on opposite side of Limmat - traffic free and lined with ancient houses - James Joyce and Lenin once lived here ( not under the same roof) - birthplace of the Dada art movement is near to Cabaret Voltaire - main street intersected by over 30 others which are well worth exploring - intriguing variety of shops and restaurants - vibrant at night - Café Odeon was meeting place for literati and other notables including Lenin Mussolini Mata Hari James Joyce and Herman Hesse (who set ‘Steppenwolf’ in Zürich) - Krönenhalle is arguably Zürich’s most famous restaurant with works by Klee Chagall Matisse Picasso Braque Miro Kandinsky and Bonnard on its walls. Kunsthaus - www.kunsthaus.ch - Switzerland’s best - ‘if you visit just one art gallery in Switzerland this should be it’ (Rough Guide) - a wonderfully broad collection and not too big - regular world class exhibitions. Knies Kinderzoo - www.knieskinderzoo.ch - in Rapperswil - 400 animals owned by circus dynasty - dolphin shows - large children’s playground . Rapperswil - picturesque medieval ‘town of roses’ on Zürichsee - 13th century castle - walled gardens with 6000 rose bushes - Knie children’s zoo (qv) - deer park - eating places on lake and in squares - reached by boat or via causeway from Pfäffikon - ideal adult diversion if children are at Alpamare (qv) - Circus and Polish (pertaining to Poland not footwear maintenance) Museums - Blues and Jazz Festival in June. Uetliberg - Zürich's Hausberg (home mountain) above Adliswil - rises to 870m - can be reached by S10 train - 30m viewing tower at Uto Kulm affords great views - 3 km sledging run in winter - take the Planetenweg - 5 km walk featuring representations of planets on 1:1 billion scale - return to earth at Adliswil on Felsenegg cable car (in the Pluto area). Albis - unspoilt countryside close to city - striking panorama above Mettmenstetten - gentle walks in all directions from Albis village with excellent lake views - fantastic sledge run in winter - Seleger Moor www.selegermoor.ch has rhododendrons azaleas and gardens - plant sales - ideal outing for green fingered grannies particularly in May .